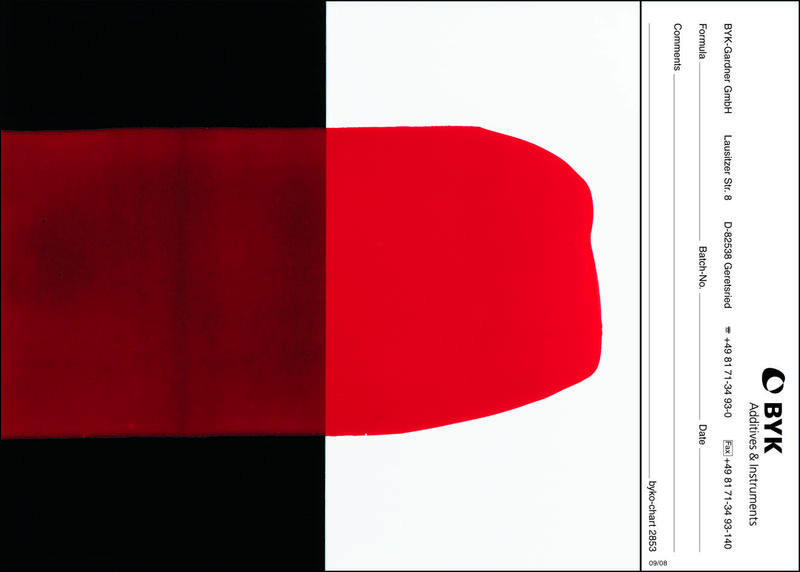 The tint strength of a paint batch is probably the single most overlooked quality to check. If the paint is going to be tinted in a store or in the plant, even a small variation in tint strength between one batch and another can result in costly touch-up complaints or wasted gallons due to a mistint. What most companies fail to do is control all the variables that go into making the samples used to test the tint strength. Keep the test simple. Use a single colorant that is rarely, if ever, found to cause color acceptance issues in any of your paint products. Phthalo Green is often used for this reason. Also, the spectral curve of the green gives a nice reflectance peak towards the center of the graph. Do not test the paint with colorants known to have color acceptance issues in the product. Those colorants can be used for other testing, but keep the tint strength test itself simple and foolproof. The last thing you want to do is add extra TiO2 to a batch to adjust for a false test result. Weigh everything. Don’t rely on volumetric dispensers. Use the relative tint strength indices found in your software package. Run the test the exact same way every time. And most importantly, keep the tolerances tight. 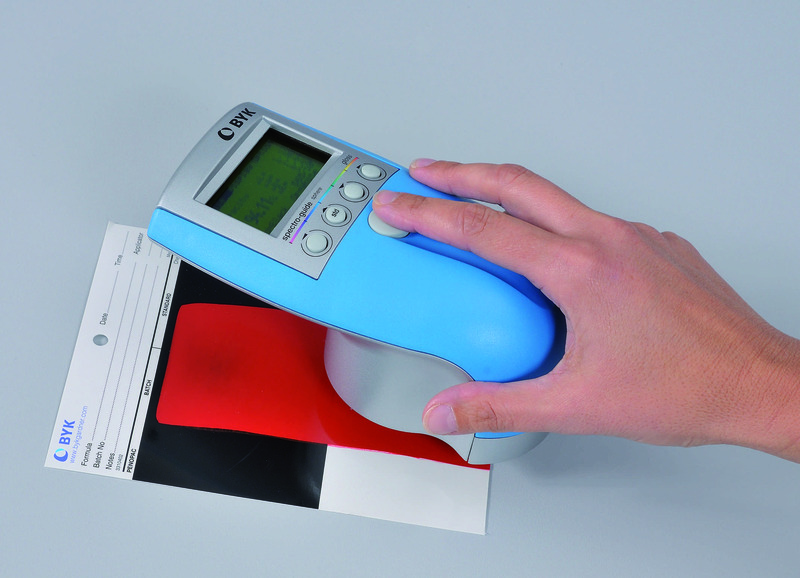 Measuring a paint sample with a spectro-guide spectrophotometer.